SKU: books-576. Category: Cultural heritage, Photo and art albums. The everyday life, traditions of the urban environment is shown in the book through the history of the urban costume. It also includes design of historical suits and a lexicon of dress. 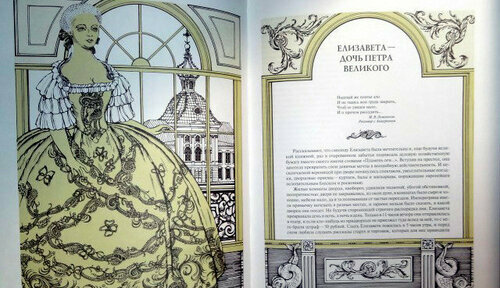 The book-album covers the period of Russian history from the middle of the 17th century to the 20th century. With this book you can take a fascinating journey back in time and see how varied not only clothes, but also the mores of the society. How much can clothes tell about the person, about the whole era of the life and customs of that time, belongs to a suit. Knowing the history of fashion, you can easily identify what historical time he is and who or what is dictated by specific fashion trends. It was that Royal decrees prescribed subjects the cut of the dress, hairstyles and mannerisms. Changed the ruler — fashion changes. 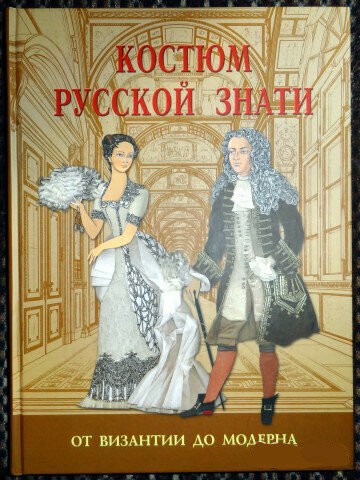 The book starts with a story about clothing during the reign of Alexei Mikhailovich, father of Peter the great, and ends 1903 – description of the costume ball at the Winter Palace. Acquainted with amazing outfits from the distant past, perhaps you will want to produce an exact copy of the original festive attire, which could go to the ball lady of the reign of Catherine the great. 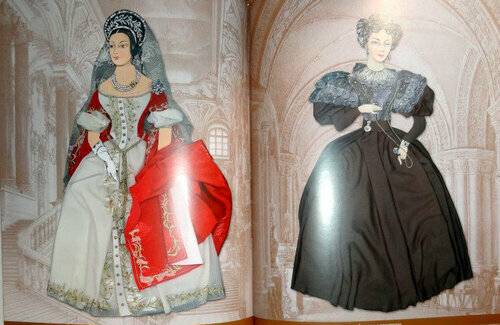 If you wish, you’ll create a whole collection of dolls in fashionable costumes in different eras. These fun dolls will decorate your interior, to complement the already existing dolls or would be a good gift for friends. The book is richly illustrated, contains necessary recommendations, patterns and templates. From simple materials (fabric scraps, lace, ribbons, beads, rhinestones…) you will learn to do amazing things, feel like a real fashion designer and fashion historian. The main advantage of the book is that such a creative atmosphere encourages interest in knowledge of national history, culture, traditions and peculiarities of life of our compatriots of bygone eras. The book is recommended for a wide range of readers.